Garrett Strickland is unapologetically country, fiercely loyal, and perfectly happy with his job at the Hotchkiss Co-op. Garrett is all about living in the present and not dwelling in the past--even if he was once on his way to a lofty agricultural sciences degree that would guarantee the brightest of futures, only to end up back home when his old man died, leaving behind a debt-ridden family farm that was impossible to keep afloat. After that, it was easy to see why dreaming big wasn't worth the heartache. And until he crosses paths with a city girl who's hell-bent on kick-starting her own future, he's sure that good enough is just that. Cara Cavanaugh is ready for more from life, even if that means changing everything; including dumping her boyfriend of ten years, turning down a lucrative job at a major newspaper, and leaving behind the upscale suburbs of Chicago where she grew up. Now, she just has to pray that temporarily relocating to the middle of nowhere in Colorado will be the first step in building a career as a freelance journalist--all she has to do is prove she's got what it takes to make a name for herself. Unfortunately, her tony country day school is as close to "country" as she's ever been. 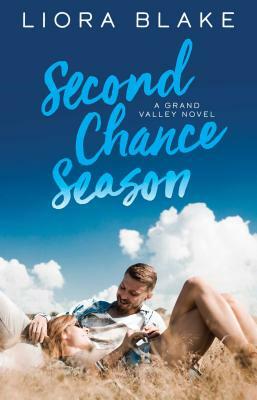 But when a goodhearted guy who looks like he just stumbled out of a country music video offers to help, she ends up falling hard...and discovering that the perfect story is a love story. And it's theirs.